Perth Buildings Get Access Control Systems They Love. Access control and monitoring systems are the new wave achieving seamless security and regulatory compliance. Perth Business relies more today on technology to operate and automate access to buildings, sites, and facilities. Your investment in a superior access control system will pay off in smooth operation and minimise security and compliance overheads as well as providing durable internal control over staff and assets. So put the keys away and call us to help you control exactly who can access your workplace and when they can access it. Simple issues like a card getting lost or misplaced can be dealt with by voiding/disabling the card on your management system. You won't need to call the locksmith or have sleepless nights wondering where those keys got to. We are local Perth specialists in all things access control and we'll take you through the process of designing and then installing a quality trusted system. 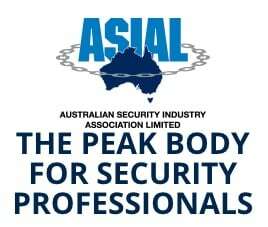 Our ongoing service record for your Perth access control system is highly regarded. Commercial access control systems in Perth and WA. inactivity auto arming and emergency mustering in the event of a fire. Schedules can be used to automatically unlock doors. Plus top access control systems are often integrated with CCTV systems which can take clips of unauthorised access and message the footage to staff or security to deal with. By choosing a top quality access control system, you can combine methods of access that you require. For example, entry methods including Vehicle tags, swipe card readers, pin-prox readers and Weigand air-key systems. Give us a call and we will advise, and quote on various options for your access control system. Rapid Alarms can design, install, service and maintain high-end access control systems that are tailored to your requirements.